Their RV park has 35 big-rig friendly sites including pull-thrus and back-ins. Every site has full hookups, concrete pads, and access to their picnic tables, charcoal grills, and fire pits. They also have a clubhouse with a full kitchen and pool table, and centrally located shower and laundry facilities. Covered pens are available for equestrian RVers with horses. Each cabin sleeps about five people with a queen bed, two twin mattresses in the upstairs loft, and a pull-out sleeper with linens. The kitchens are fully stocked with dishes and cookware and the bathrooms with towels and soap. They’re furnished with both air conditioning and a heater to keep guests comfortable all four seasons. Their Orange Eland cabin is ADA-accessible and also pet-friendly. 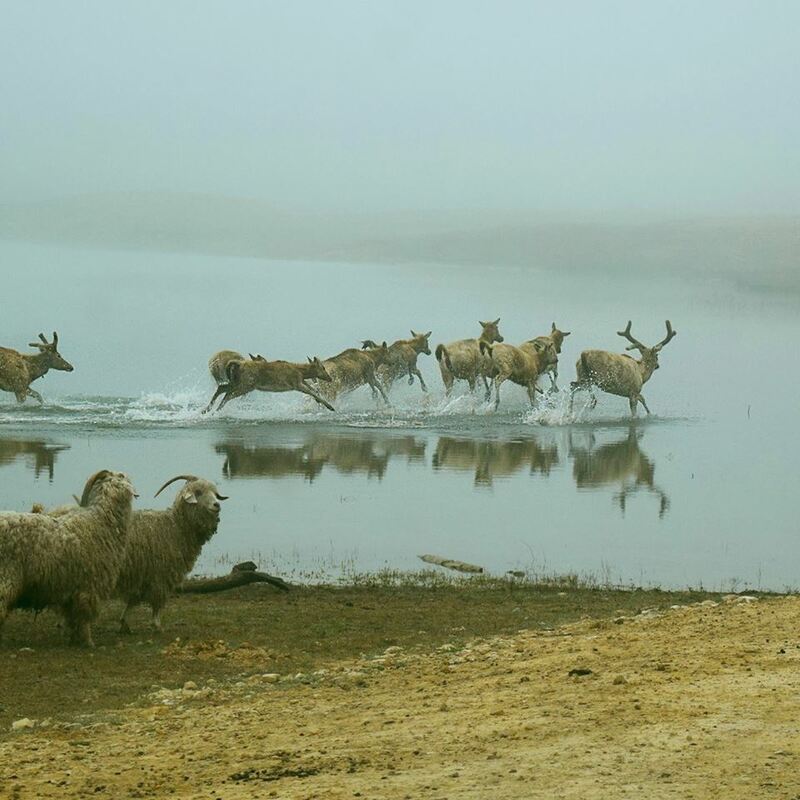 You can take a slow, easygoing drive through their safari to see the meandering wildlife. 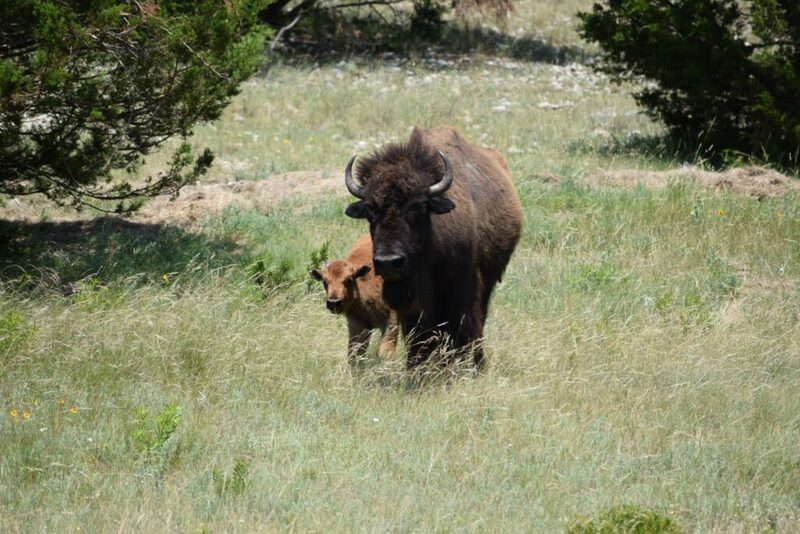 Look out for their freely roaming bison, deer, zebras, llamas, sheep, and wild turkeys. Armadillos, jackrabbits, emus, and even coyotes can occasionally be seen. At the speed limit of 5 MPH, their loop takes about an hour to complete or longer, depending on how often you want to stop for photos. You cannot feed the animals your own food, but they do have a special feed in their Gift Shop that you can give them out your window. For your safety, stay inside your vehicle during the entire drive through their safari. If you would like to visit some of their exotic animals up-close, swing by their new petting zoo. 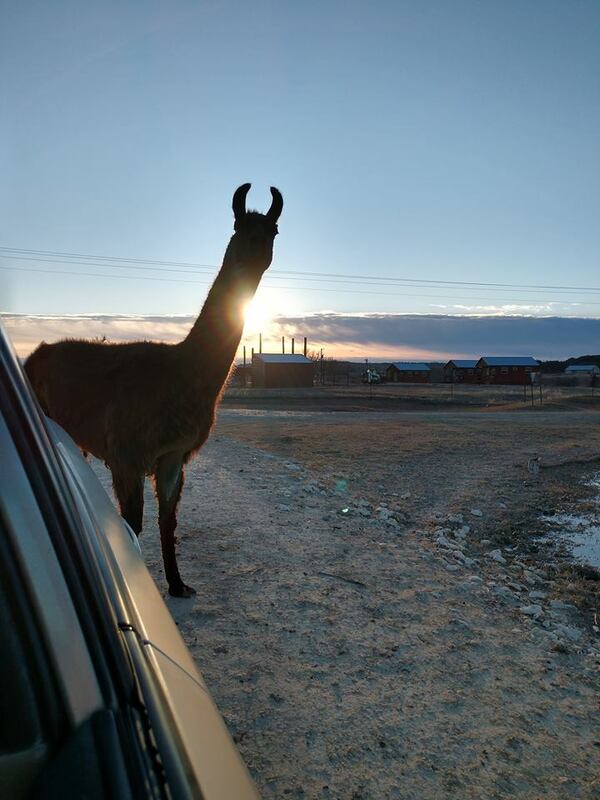 Every drive through their sanctuary is unique, as you may not see the same animals every time. After the safari, have lunch outside in their picnic area and browse the gift shop for a new keepsake. Also, if you’re bringing the kids, check out their Junior Explorer activities, which you can print off or ask for at check-in. Finish any three of the activities in a row and bring them in to their gift shop for a prize. Admission to their safari is $12 for adults ($15 on weekends) and $10 for kids 11 and under ($12 on weekends). If you bring in a receipt from any local business in town, they will give you a 10% discount. Rates for their RV sites are $40/night for pull-thrus and $35/night for back-ins. 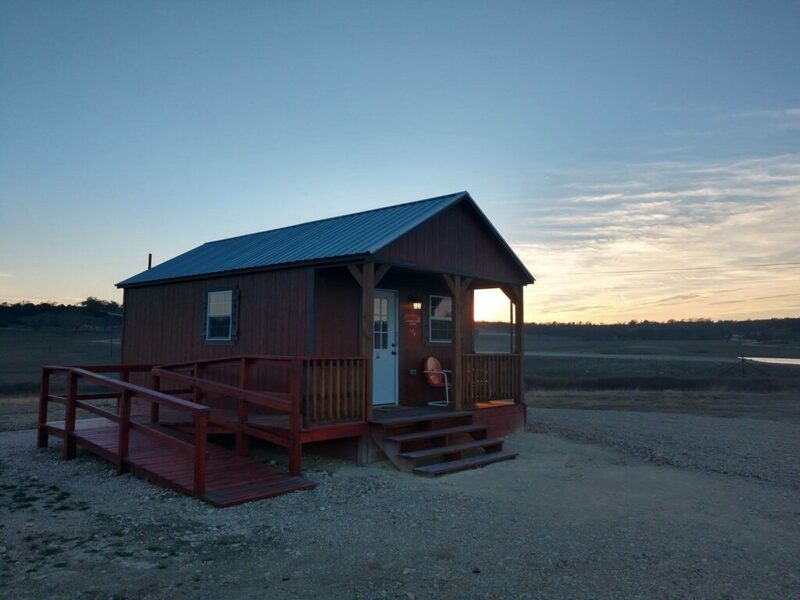 The cabins are $85/night on weekends (Fri-Sun and holidays) and $70/night from Mondays through Thursdays. Guests in their RV park and cabins can get a buy one day/get the second-day free ticket to the safari. 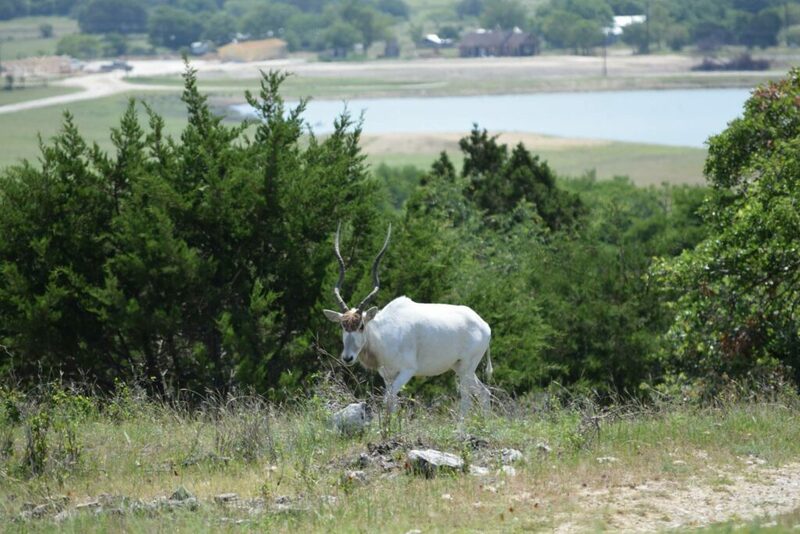 Buena Vista Wildlife Safari is located in Evant, Texas, just over an hour west of Waco. 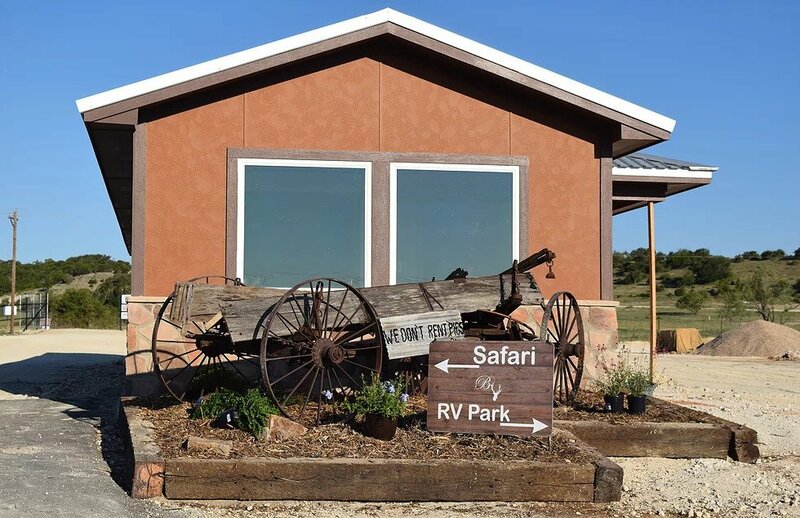 You can learn more about their animals, RV park, and cabins on their website. Let us know about your experience on Campground Reviews. Would I be able to drive my RV through the Safari?